A mind map is essentially a diagram with a central node in the middle that represents an idea or a concept. This central idea then has different related branches or nodes built around it. 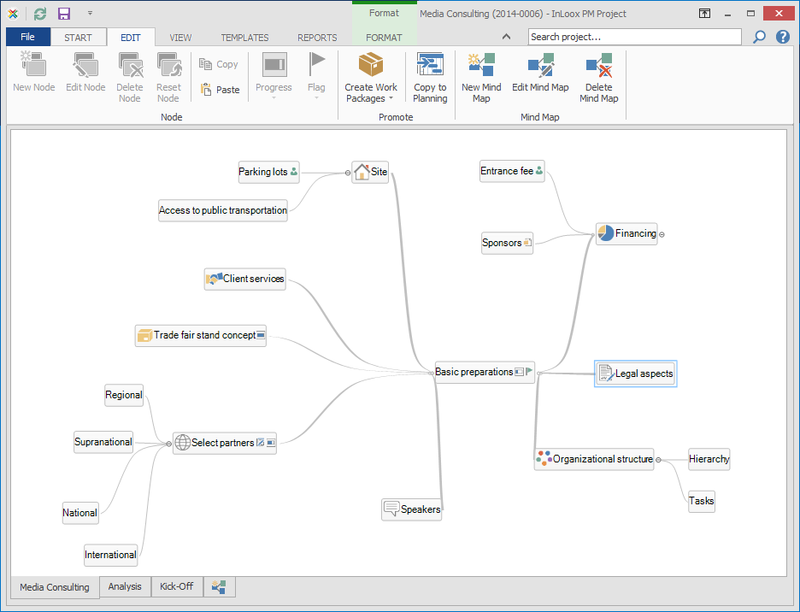 You can use pen and paper to draw a map, or use a simple program such as Microsoft Word, mind mapping programs or project management applications that offer mind mapping features. A project manager can use mind maps to define project goals and objectives. Each objective should be the central node of its own mind map (or part of a multi-idea mind map) and the branches around it represent the measures you need to take to achieve that goal (tasks and resources). Was ist eine Mind Map? • Copyright 1999-2019 © InLoox, Inc. All rights reserved.